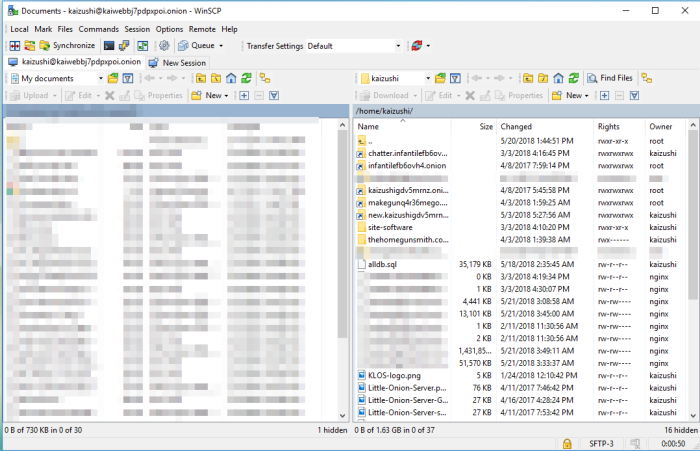 On Micro$oft Windows you can upload files using WinSCP or WinSCP portable. Assuming you know how to install Windows software, do that and run WinSCP. 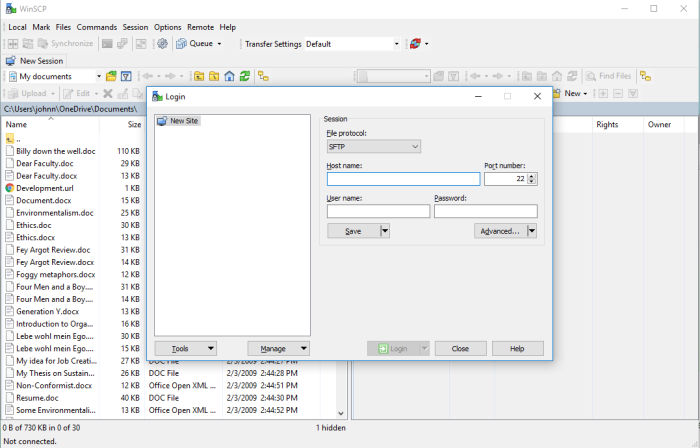 Run WinSCP and you can begin configuring connections, this is how WinSCP looks when you first run it. The host name has to be the SSH/SFTP access server onion provided after payment. It should be the same as the one in this article. 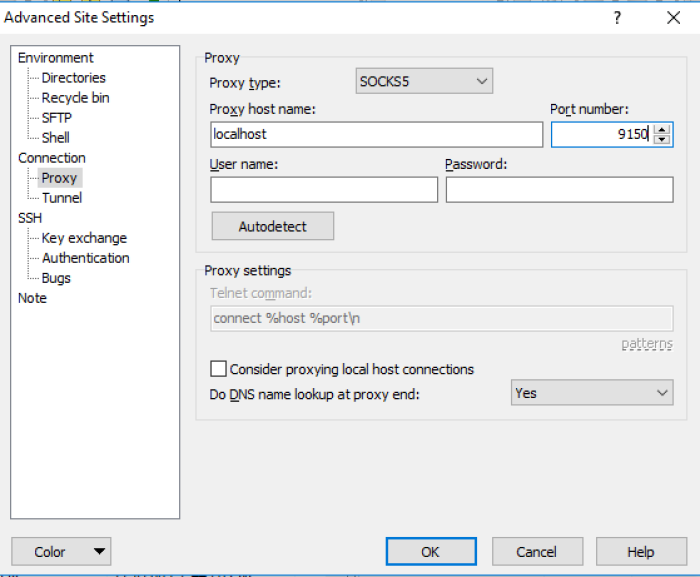 You can then click advanced and go to proxy settings. 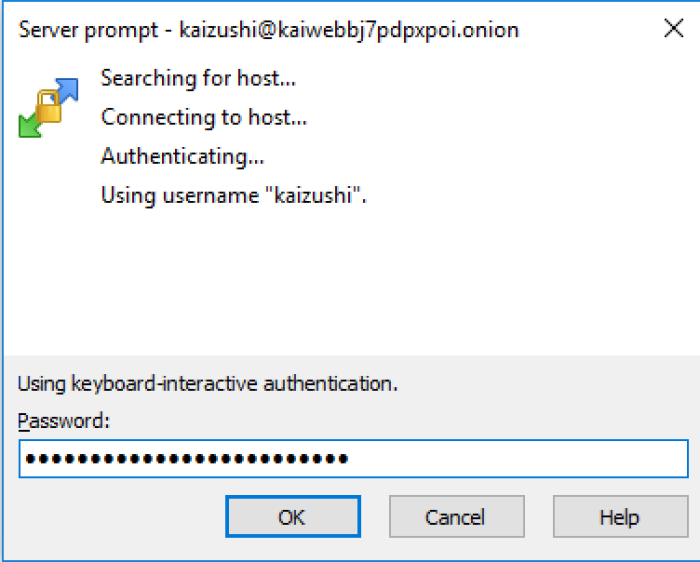 You should connect on localhost 9150 which is the address and port for your Tor Browser Bundle. 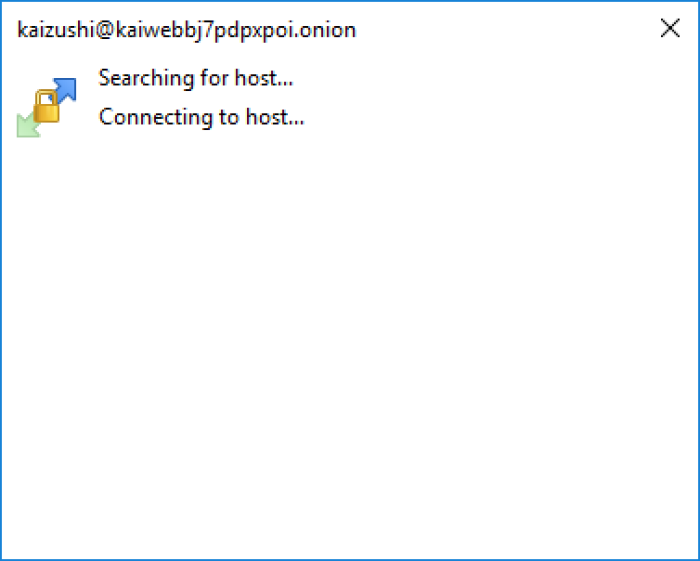 You want to set it to do DNS lookups through Tor, so it can see Onionland. Add the connection details after your finished in advanced. If it all looks like the screenshots except the username, click connect. You might want to save your configuration, but you shouldn't save your password. It will start connecting, it might show you an SSH fingerprint to verify. The onion domain being mine already provides better verification because the private key is on the Middlebox not on the webserver. So you can just continue here safely. If you didn't enter your password previously you will be prompted for your password. Once you've connected you will see your home directory. In it are symbolic links in the name of onion domains which take you to your web directory. As you can see I have more than I can share. Click on one of these links and it will take you to your webdirectory, where your website files are stored. Once you are in your webdirectory you can now drag and drop files into it. Below is the webdir for Infantile, yours should just have index.html - feel free to delete it. If you are having trouble with permissions you might need to contact us to restore proper webdir permissions for SELinux and UNIX ownership.